It seems like new gravel bikes are popping up everywhere, including the recently debuted Salsa Warbird version 4 and a lot of them are obviously influenced by Open Cycles’ UP and its design sibling, the 3T Exploro. The key features are dual 700C/650B wheel compatibility and the dropped drive side chainstay, but to be honest neither idea originated with the UP. As early 2012 Bike Hugger has been interested in dual 700C/650B-capability, but there is virtually no way to fit a 650B x 2.1″-ish tyre AND a 50/34 chainring set without some kind of clever trick at the rear triangle. All gravel bikes that aspire to combine nimble handling with big volume 650B tyres must overcome the problem of the tyre, chainstay, and chainrings competing for the same space. Assuming a chainstay length of about 425-430mm, the tyre’s maximum width is right where the chainrings of a compact double road crankset sit. 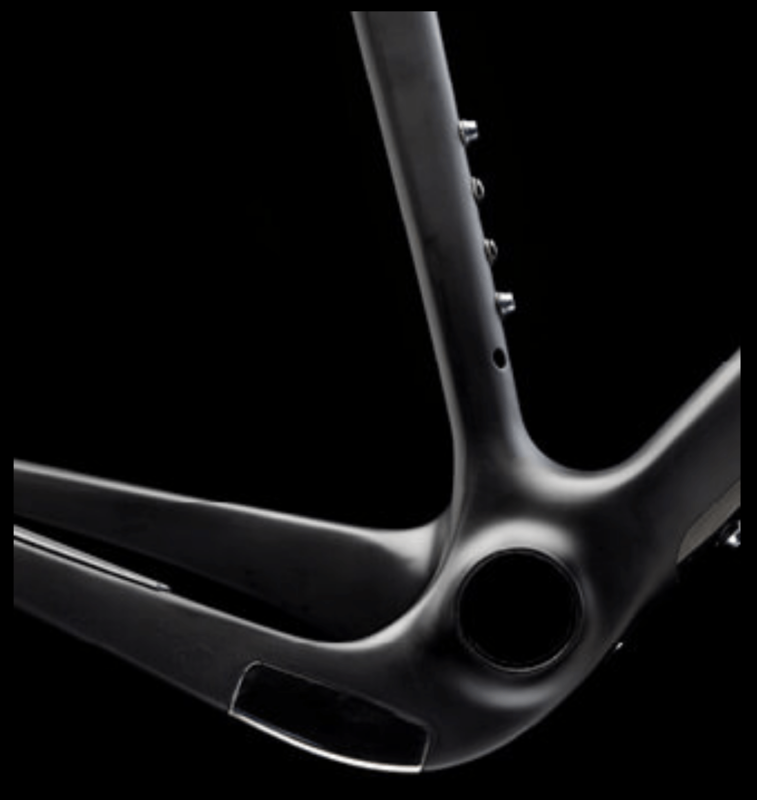 Designers of metal frames have sometimes chosen to replace the portion of the right chainstay tube closest to the bottom bracket shell with a plate to make the thinnest possible section in that critical area (example: Kona Rove). Gerard Vroomen and Open Cycle chose to approach the issue as a 3-dimensional problem, using the virtually limitless shaping of carbon fibre to detour the path of the drive-side chainstay below the point where the chainrings and rear tyre are closest. The resulting dropped chainstay had been used before in a variety of MTB designs, but the Open UP was the design that really made it a thing when combined with dual wheelsize-capability. Since then more and more companies have used the dropped chainstay as a solution for gravel bikes, all while trying to pretend they had not been influenced by Vroomen’s Open/3T designs. Salsa debuted their new Warbird at the Dirty Kanza this past weekend. The Warbird’s dropped chainstay . 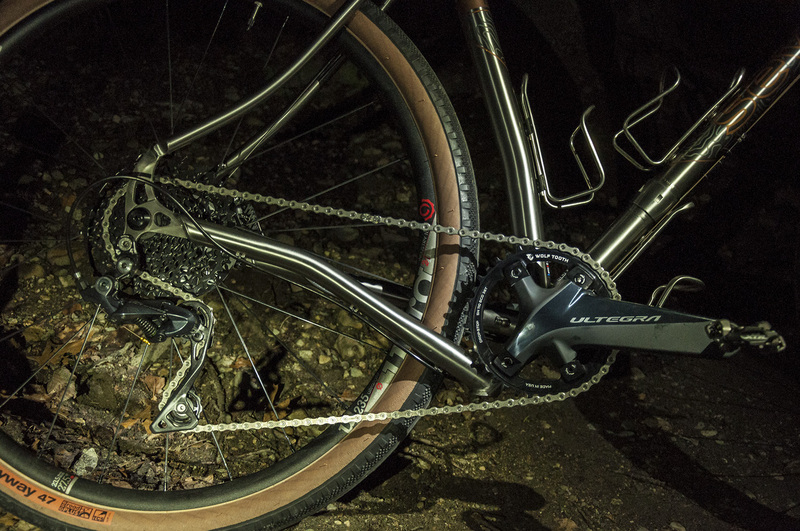 A dropped chainstay takes a detour underneath the point where the tyre & chainring are closest, here on a 3T Exploro. 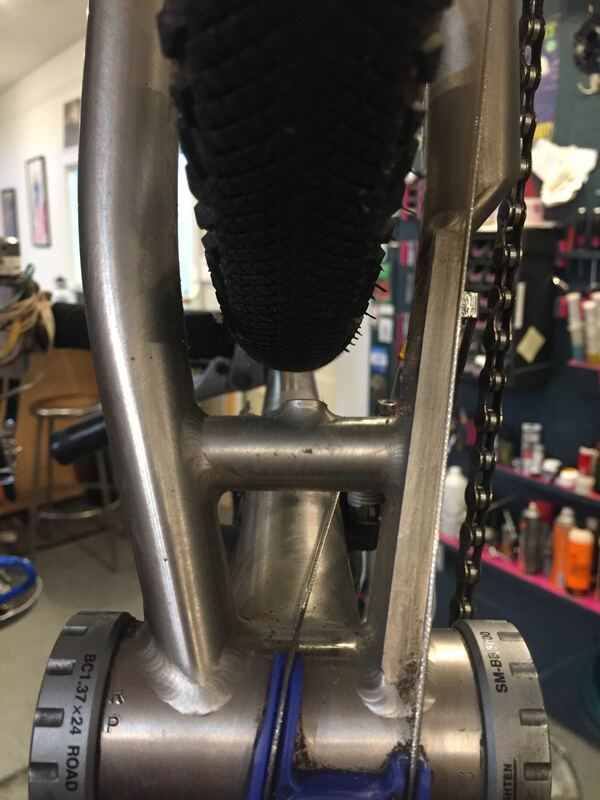 You can see that the portion of the right stay closest to the bottom bracket replaces the titanium tube with a machined plate, which gives better clearance for both tthe rear tyre and the chainrings. UK brand Genesis put a dropped chainstay on their Fugio steel adventure bike, but for the most part you don’t see too many dropped chainstays on metal bikes. Whether steel, aluminium, or titanium, the higher yield strength versions of those respective alloys usually tend to be less tolerant of heavy manipulation, and getting smooth curves without any rippling in the tube is not easy anyways. 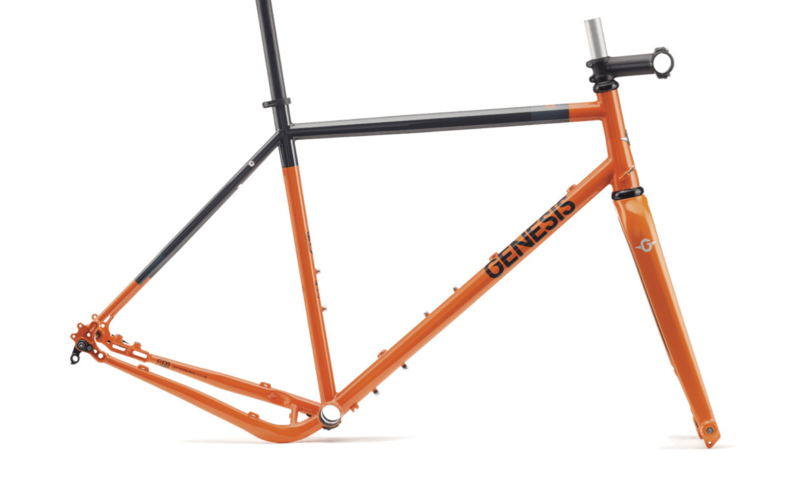 I wouldn’t be surprised if the Genesis Fugio uses a a non-heat treated chromoly or even “high-ten” steel for the right chainstay, which means thicker wall and heavy. Similarly, I have yet to see any well-known titanium framebuilder attempt to bend a titanium chainstay to that extent, though Seven Cycles recently debuted the “2×2 Scrambler”, a 700C/650B gravel bike that uses a segmented right chainstay. 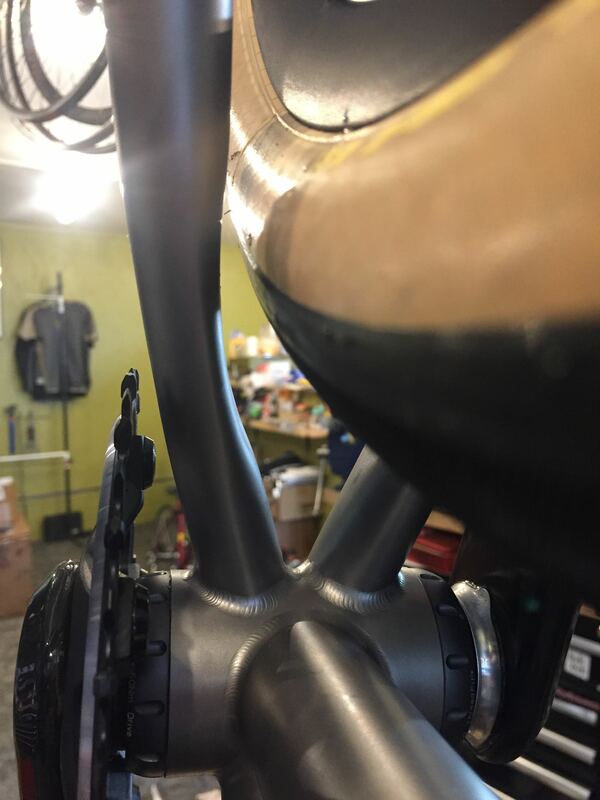 The first quarter of the chainstay is a tube trailing the bottom bracket angled well down to provide the chainstay drop, then a second tube is welded on at almost a 90deg angle to connect to the right rear dropout. In the picture below the bike is seen with a 1x crank, but the Scrambler has the clearance to fit a 50/34 compact road crank. While it is true that dropped chainstays pre-date the Exploro, not all dropped chainstays have had a legitimate function. 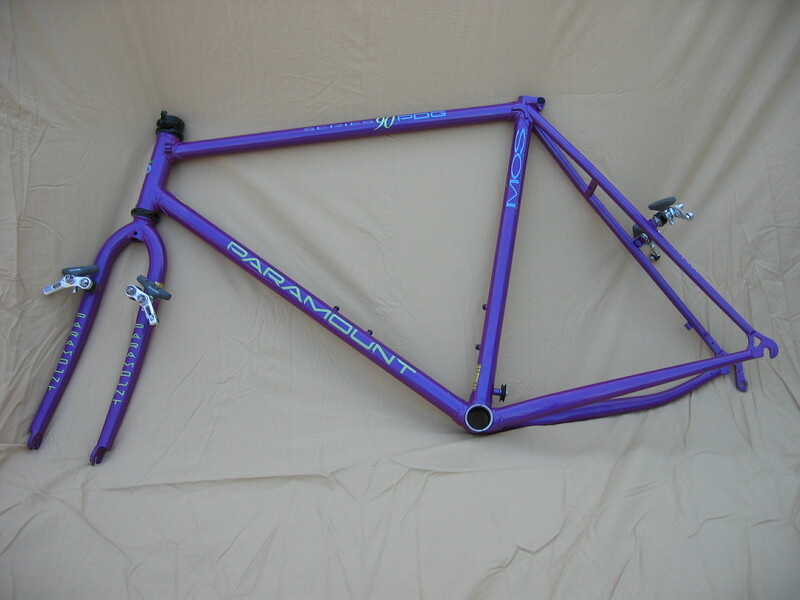 As the venerable Schwinn brand struggled to keep up with a changing market in the late ’80s and early’ 90s, they tried to parlay a “Paramount Design Group” label into a successful mid-priced line of mtb and road bikes. Their mountainbikes’ chainstays had just enough drop to be visually noticeable, though I forget what the purported design goal was supposed to be….I think maybe chainstay slap reduction? You can see in these photos of a PDG Series 90 mtb that the bend in chainstay is too far aft of the chainrings to provide any real advantage for tyre clearance. And anyways, making a rear triangle with 425mm chainstays and clearance for 26 x1.95-2.1″ tyres is a relatively easy compared to the 3T Exploro’s 27.5/650B x2.1″ tyre on 415mm stays, especially considering the Schwinn had smaller rings on a wider chainline. A 50/34 compact road crank puts bigger rings closer to the centerline of a bike, and that leaves precious little space for a chainstay to live between the chainrings’ teeth and a knobby tyre. 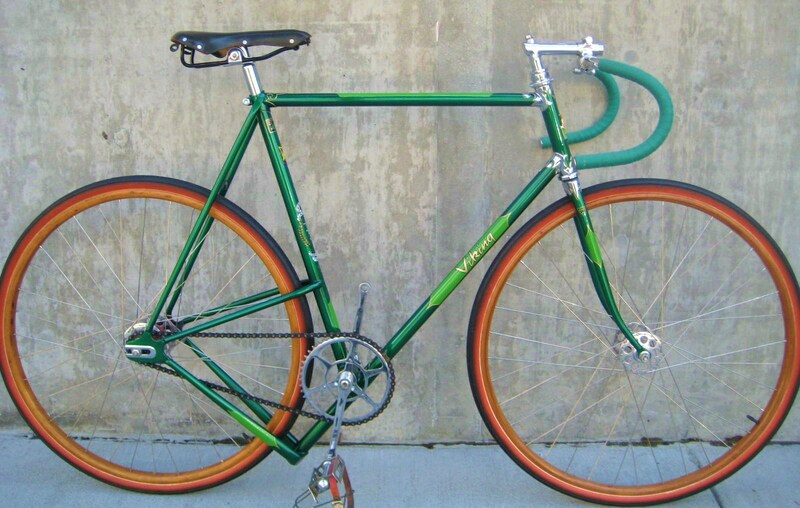 However effective the “G-Force” chainstays may or may not have been 20 years before clutched rear derailleurs, the PDG-series couldn’t save Schwinn from sinking into bankruptcy. 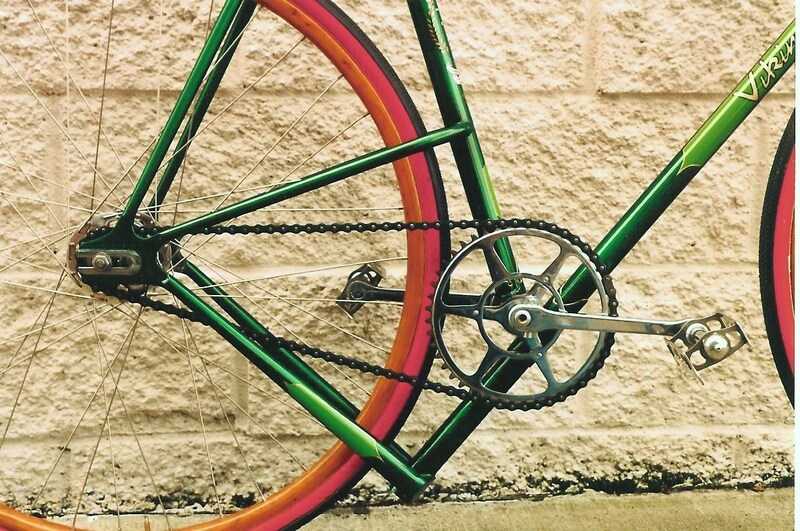 The right chainstay is made from steel tubing and snake oil. One extreme example of dropped chainstays is the early 1950s Viking SBU Tracker (photos courtesy of Bainbridge Island’s Classic Cycles). A track bike catering to that contemporary British fetishism for short chainstays, the SBU Tracker used two sets of chainstays placed well above and below the bottom bracket shell. 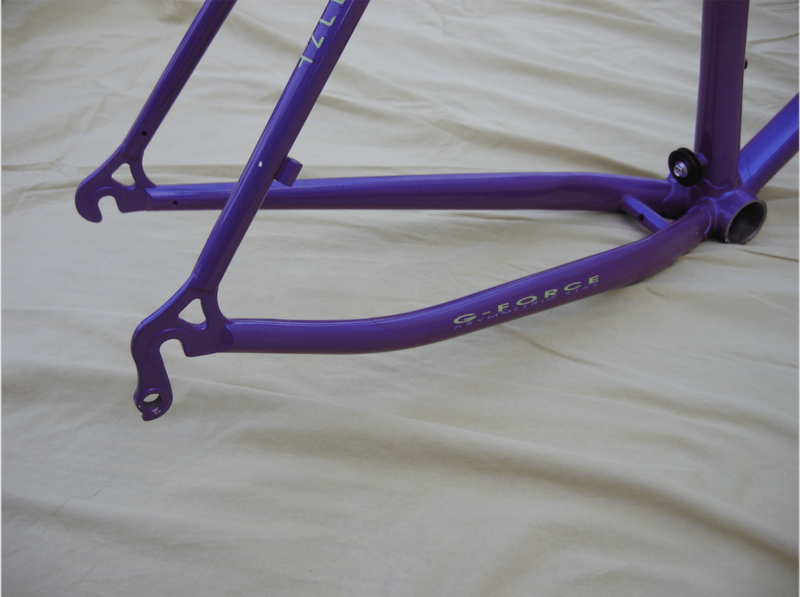 The lower pair of chainstays is brazed onto the down tube which extends well behind and below the bottom bracket. Undoubtedly Viking could have achieved an equally short rear triangle with conventional chainstays, but the SBU is undeniably striking. Surprisingly (or perhaps not), Viking’s track bike design was reputed to be neither particularly stiff nor lightweight. Conversely, the whole chainring/tyre/chainstay length conundrum can vary drastically by changing either the number of chainrings or moving the chainline farther outboard. In other words, if a gravel bike frame were designed around either a 1x crankset (fewer rings) or a mtb crankset (wider chainline), the whole spatial puzzle would be make the chainstay shaping considerably less complicated. 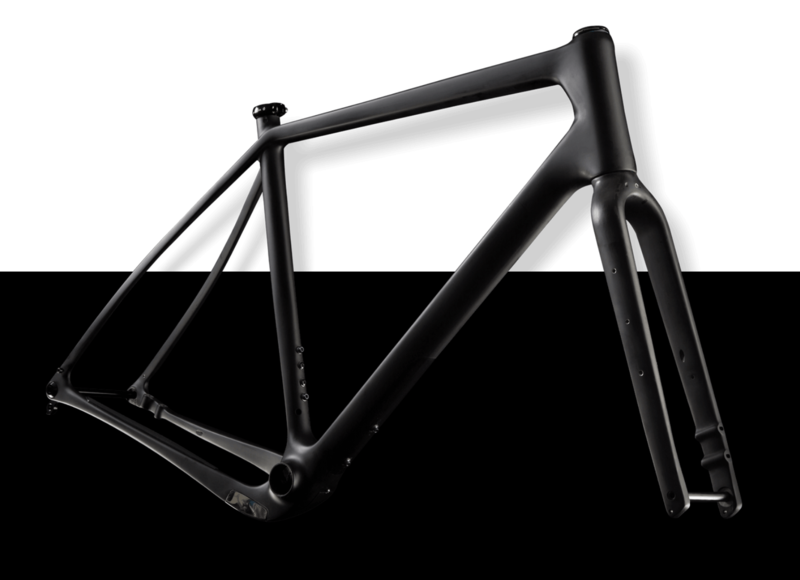 For a custom framebuilder like Davidson Bicycles, there is the advantage of designing a bike frame for a specific customer and intended drivetrain. That is to say, 1x makes things way easier. If the client plans to only run a single chainring, the chainstay can be moved outboard to leave more room for the tyre. This allows the relatively short chainstay length and the voluminous 650B tyre without than resorting to asymmetric chainstays at all. Though carbon structures can entertain whimsical shapes adequately, lightweight metal structures function better with less fatigue issues when they are kept simple. The Kona Rove’s plate section chainstay is heavy and the Seven Scrambler’s dropped/segmented chainstay has a worrisome amount of welds in a highly stressed area. Ditching the need for a second chainring an expertly shaped titanium tube has an excellent stiffness-to-weight ratio and reassuring weld design. Realistically, the majority of gravel riders will find a 38t-42t single ring more than adequate if combined with a cassette that has a 10t start, like SRAM XD-type cassettes. Why make a bike that can fit a 50/34 double crankset if the customer will never use something that big for gravel? Sure, perhaps your idea of gravel riding does involve a 50/34 crankset, but if that’s the case then you’re probably not thinking of 2.1″ tyres. 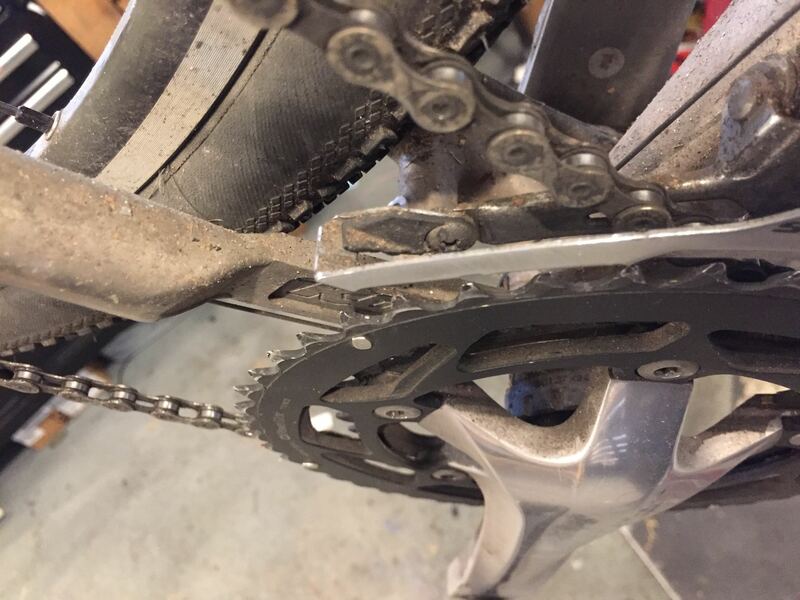 Another option is to just commit to using an mtb crankset, since the modern gravel bike’s rear hub is basically the same geometry as a non-Boost mtb….even if the shorter chainstay length accentuates the chain angle at the extremes of the cassette. 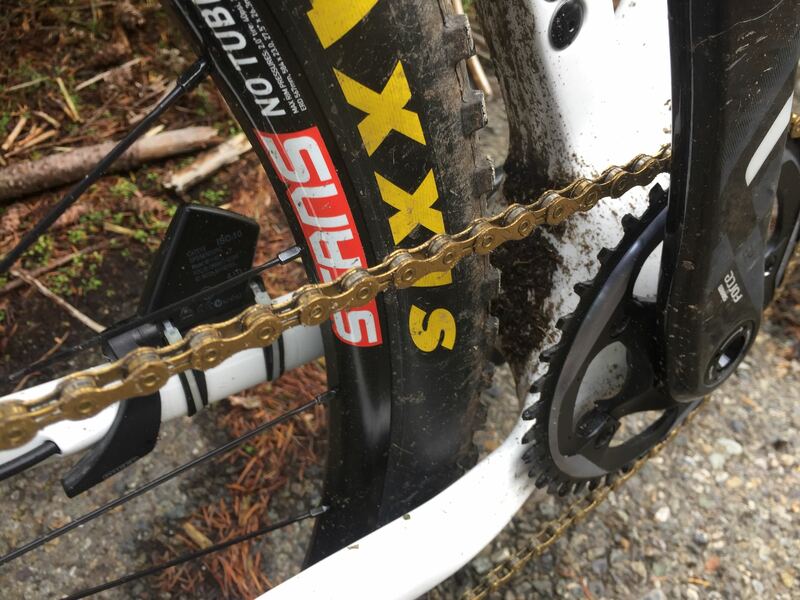 If the mtb crank’s wider Q-factor is not a problem for you (it is for me), a Ti frame designer can push the max tyre size up a little bit more to perhaps 650B x 57mm or more. The drivetrain details can be a little more complicated if one plans to run a double chainring, but there are various ways to make this work. That being said, 1x drivetrains seem to grab a bigger portion of the market every season; the requirements to support double chainrings and a front derailleur are rapidly becoming needlessly restrictive with 12sp cassettes with 10-50 and 10-51 on tap for future drivetrains. Who knows? Perhaps the dropped chainstay could even fade away as 1x drivetrains dominate, becoming the solution to a problem that no longer exists. Daivdson custom titanium gravel bike with chainstays optimized for 650B x 48-50mm tyres and 38-42tooth single chainring road cranks.